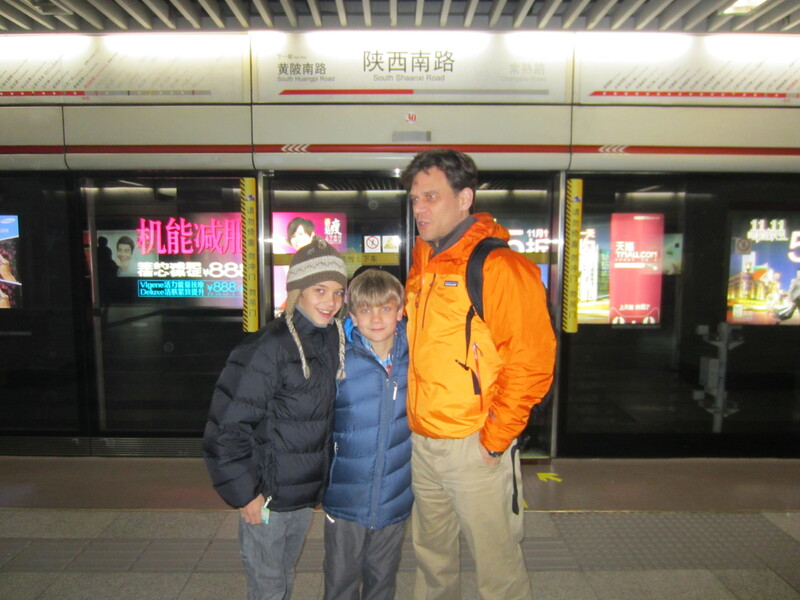 After sleeping for about 15 hours, we awoke fresh and ventured out to explore Shanghai. 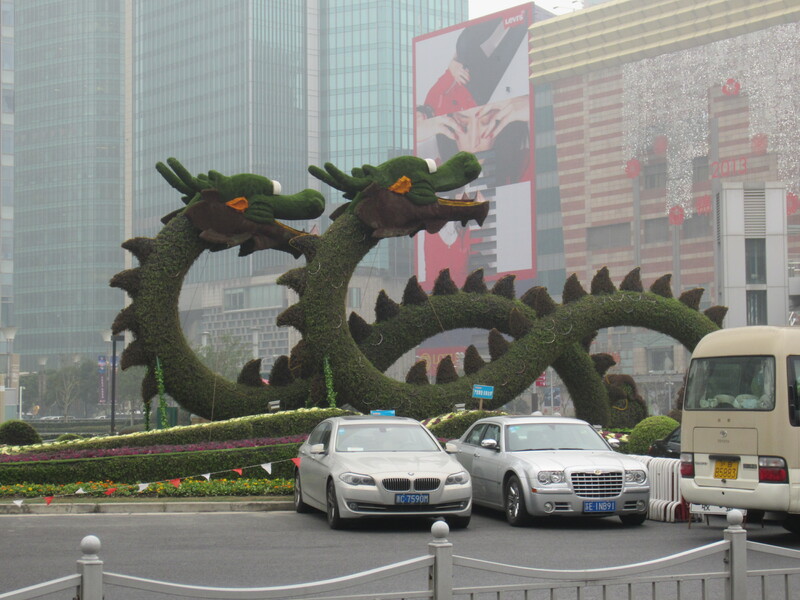 I have never been to China so had no expectations. I was not very hopeful after our cab ride in from the airport on about 40 miles of highway elevated over modern, industrial sprawl through thick, white haze. 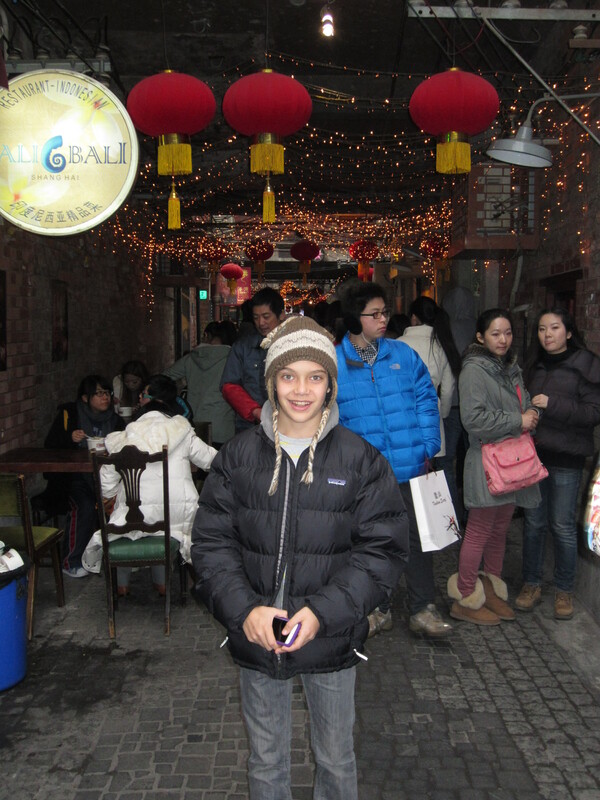 However, I was greatly surprised by how walkable and charming the city is, at least our section in the French Concession. Coalter, who spent a significant amount of time in China 20 years ago, is having a hard time reconciling all the changes and development which have occurred here over this time (I’ll let him expound on this). For example, Starbucks. 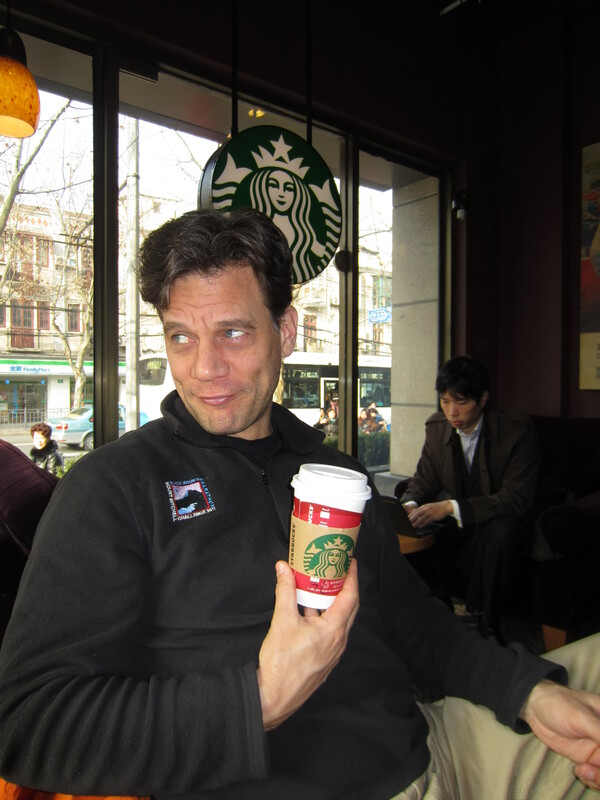 Yes, I am ashamed to admit that we had our first meal in China at Starbucks. But we were starving and jet lagged and actually were having a hard time finding any other eateries that were open in our posh little area of town. For those of you who know my husband, this was nothing short of a crime (he initially refused 100% so I bought a coffee to walk around with and he kept stealing sips of it, completely conflicted by his high morals and his desperate need for good strong coffee). Sweetie, it’s the new China, just go with it. 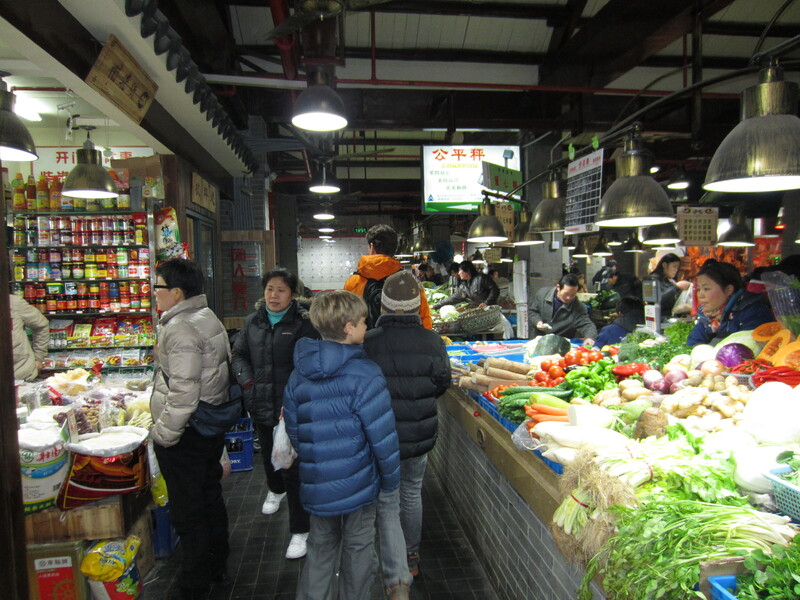 The highlights of our urban hike included an outdoor market with lots of very interesting things to eat, and I don’t necessarily mean that in a good way. Also fun was watching a courtyard of elementary school children doing their morning exercises, marching in elaborate patterns as you might imagine they did during the days of the Cultural Revolution, only this time it was to Lady Gaga or Brittany Spears or someone like that. Henry was wondering if they knew that one of the lines said, “hell yeah, I’m a mother f…ing princess.” It’s truly a global village. It did give me the idea of incorporating morning calisthenics into our homeschool. Eating lots of greasy food and more sedentary than usual. Something’s gotta give.